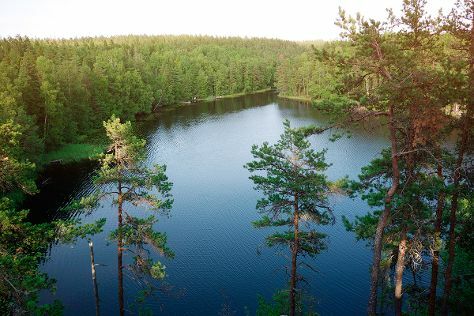 On the 16th (Thu), explore the striking landscape of Nuuksio National Park. On the next day, admire the masterpieces at Kansallisgalleria, test your team's savvy at popular escape rooms, don't miss a visit to Hakaniemi Market, then get engrossed in the history at Seurasaari Island and Open-Air Museum, and finally stroll the grounds of Hietaniemi Cemetery. For maps, more things to do, other places to visit, and tourist information, refer to the Helsinki road trip planning site . If you are flying in from France, the closest major airport is Helsinki Vantaa Airport. May in Helsinki sees daily highs of 18°C and lows of 7°C at night. Finish up your sightseeing early on the 17th (Fri) so you can travel back home.